Janir finally arrives safe and sound after a long journey with Saoven, an elf, and Karile, a young wizard. Her foster father was ecstatic to have her home safe and sound. No one knows Janir’s identity, the heir to the throne of Argetallam. Her true father is trying to find her, and bring her back and take control of her. However, war is about to break out. Karile is constantly finding trouble, which Janir is always trying to get him out of. Janir wants to learn more about who she really is. She has powers but does not know exactly what they are or how to control them. She is searching trying to find anything to help her stay away from her real father. Karile has this crazy idea that a myth of the Kryden Road exists, and talks Janir to help him search for it. After several times out, they finally find a marker that marks the road. As they travel this road, they discover Dwarves working on the road. As Karile and Janir leave, they are spotted and chased. They tell everyone what they discovered, and they start preparing for war. 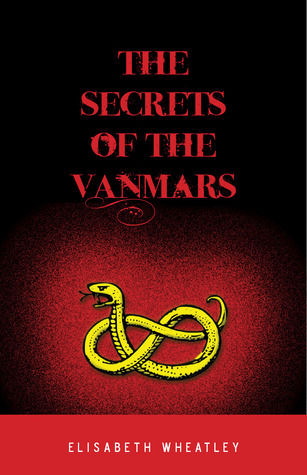 The secrets of the Vanmars is the second book in the Argetallam saga. Even though I have not read the first book, The Key of Amatahns, I did feel that this book is a stand-alone book. I did not feel lost. It is an exciting adventure with a lot of action. Karile makes the story real with his crazy ideas and leading Janir and himself into trouble innocently. Saoven is always there to help Janir out and you start to discover how much they really care about each other. The ending was a fantastic cliffhanger, which has spiked my interest to follow this story and see where it will lead.